Sinters silver particles into the glass for excellent thermal and electrical insulation. Chemical bond to enamel and dentin provides excellent marginal integrity. 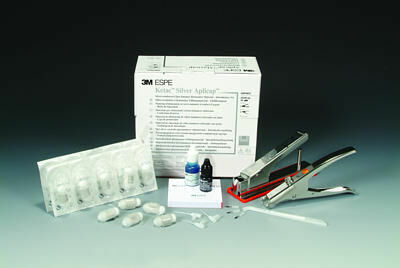 Aplicap capsule delivery for consistent mixing and easy dispensing.